A few weeks after I started college, one of my new friends (a much, much cooler friend) asked me if I’d ever heard of Elliott Smith. “Uh… yeah…” I mumbled. It wasn’t completely a lie; I knew 'Needle in the Hay' from the soundtrack to The Royal Tenenbaums, but that was the extent of my knowledge. The next day he stopped by my dorm room with a burned copy of XO tucked into a notepaper sleeve. It was a… difficult experience. I’d been listening to the most disposable sort of punk rock in an attempt to reinvent myself as tough and rebellious, and XO sounded like nothing I’d heard before. But I persevered… and failed. After a week on continuous loop in my CD player I’d progressed to the "this is nice, but..." stage and no further. Still, I wasn’t going down without a fight. I picked up a copy of his eponymous sophomore release in hopes that it would fit in more with my style. And it worked. I spent Thanksgiving break in near isolation, picking those 12 tracks apart. Then on a lonely winter bus ride, reading Graham Greene’s The End of the Affair and 'Needle in the Hay' coming through my headphones, I had a breakthrough. Or… breakdown rather. I managed to get back to my room at least, safely out of sight before the tears just couldn’t stay locked up. I was sold. In less than five months I’d tracked down everything he’d ever put to record, a personal record I believe still remains unbroken. That was the fall of 2004 - a few months earlier and I’d have been able to brag that I got into him while he was still alive, but then again I guess that’s part of the message I’ve always read in his music: never, ever being cool enough to brag. He was a rare combination - just as much a patient, meticulous craftsman as he was a unique artist. Going back and reading reviews from the release of XO and Figure 8, his first two releases for Dreamworks and the last of his lifetime, I’ve always been amazed at the sense of shock, sometimes almost outrage, that he’d exchange his lo-fi roots for lushly orchestrated compositions. Maybe I’m just gifted with perfect hindsight, but even the most cursory listens to his first three albums seem to suggest a constant fight against the constraints of his equipment, a sound bogged down not by an excess of vision but by simple necessity. Even among the false starts of his uneven (but frequently heartbreaking) debut Roman Candle, you get the feel of a man thinking out every step. By 1997’s Either/Or that attention to detail had paid off, he’d gone from basement troubadour to full one-man band, clearly the only thing holding him back was money. There’s the question, I guess, of what From a Basement on the Hill would have been had he lived to see it finished, that it was to use the painfully limited vernacular of music writing, to be a much rawer album, and certainly, there’s plenty to suggest that was true. Still though the sound may change the idea behind remains constant, and what we have of the album is every bit as layered and attentive as what came before it. My favorite story about Elliott Smith came from a kid in one of my classes, who described a visit to his sister in New York sometime in 2000. He was 14 years old and neck deep post-grunge and nu-metal, those two embarrassing footnotes in the musical development of almost any boy his age. But his sister absolutely insisted he had to go see this Smith guy, and he caved. I wish I remember his exact words because they were funnier than anything I’m capable of, but it was something to the effect of getting home and throwing every CD he owned in the trash. 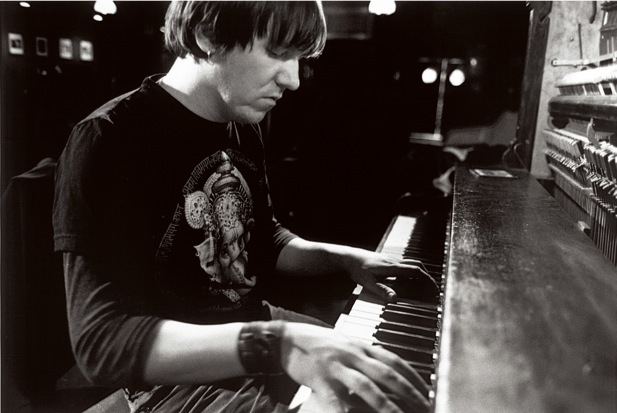 It’s a story I’ve always liked because it sums up perfectly what’s so charming about Elliott Smith’s approach to music: he didn’t have to blaze trails or break the rules, he was perfectly content to wander down the familiar paths of pop music and just show you. And you’d follow. It’s easy, though, to talk about life-changing experiences and Elliott Smith, almost to the point of parody. And maybe I’m just being defensive because he’s had such a profound effect on my taste and my life and there’s absolutely no way around that, but I’ve always seen it like this: He wrote about things that are so familiar to so many - loss and frustration and need and not knowing who you are and hating the person you only think you are, and he did it in words that are easy and immediate but whose true power sinks in only with time. I’d be far more surprised if people had difficulty identifying with his lyrics than at commiseration being commonplace. At some point I got over the hero-worship phase in my music listening, which I guess is healthy and mature and a thousand other terribly boring things. It’s been four-and-a-half years since I was an awkward college freshman and my taste is more informed and varied and intelligent and impressive, but I don’t know how to just gush anymore. Elliott Smith makes me remember how to gush, how to act like listening to music is the most important thing in the world and that’s something I’ll always be thankful for. Eric Garbe is an on-and-off student living in Atlanta. He graduated from the University of Georgia with a degree in theater and a minor in Russian. He is currently working as a test-prep teacher and a part-time scenic carpenter.